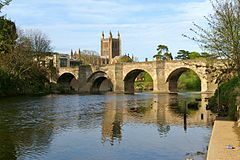 The name "Hereford" is said to come from the Anglo-Saxon "here", an army or formation of soldiers, and the "ford", a place for crossing a river. If this is the origin it suggests that Hereford was a place where a body of armed men forded or crossed the Wye. 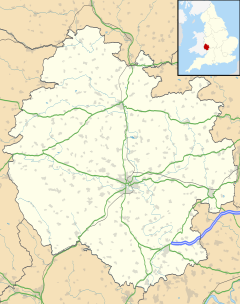 The Welsh name for Hereford is Henffordd, meaning "old road", and probably refers to the Roman road and Roman settlement at nearby Stretton Sugwas. 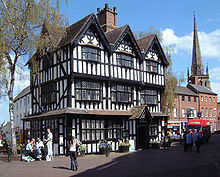 Much of the county of Herefordshire was Welsh-speaking, as reflected in the Welsh names of many places in the county, like Llangrove, Llancloudy and Llanwarne (see History of Herefordshire). There have been plans for many years for a north–south bypass and currently the plan is for a nine-mile (14 km) dual carriageway; however, HM Government as yet has refused to grant permission or supply funds. However, the Hereford Link Road was completed in December 2017, costing around £34,000,000 to build. There are plans to add new homes, a university building and a transport hub to this area. 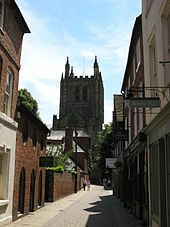 Hereford has been named as the UK's second slowest city with vehicles averaging speeds of 14.09 mph. ^ Council, Herefordshire. "Hereford 2020". 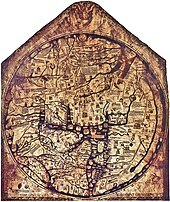 www.herefordshire.gov.uk. Retrieved 20 April 2019. ^ "New £34m city link road opened". 18 December 2017. Retrieved 20 April 2019.